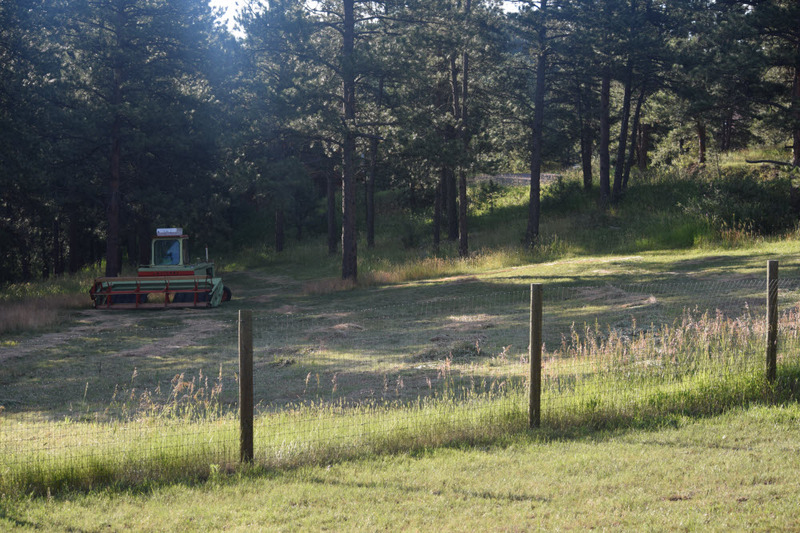 This morning I awoke to freshly cut rows of grass hay in the mountain field next to my house. As I sat in the peacefulness of the morning, childhood memories flooded my body – the warm smells of summer, the playful spirit of my soul dancing in the tall grass under the shade of the stately cottonwood tree that bordered the nearby hay field on the plains of Colorado. Yesterday, when that rusty, rickety and seasoned old tractor sputtered alive in the nearby field, I ran to the window with the same sense of harvest excitement – stopping to witness the making of the first few rows of delicious perfection. The symmetrical rows forming patterns of something larger – a knowing that this hay will provide warmth and nourishment to some horse in the cold of the winter. Insights into the wonder and joy this horse might offer someone, somewhere. As I sat quietly admiring this field in today’s early morning light, a buck deer stepped into the mountain field – more curious than hungry of the changing landscape that had taken shape since yesterday. Engaged in his curiosity, I decide to play along. How our pathways shift and change. When we see the wonder and joy in the journey and when we move through unnoticing. 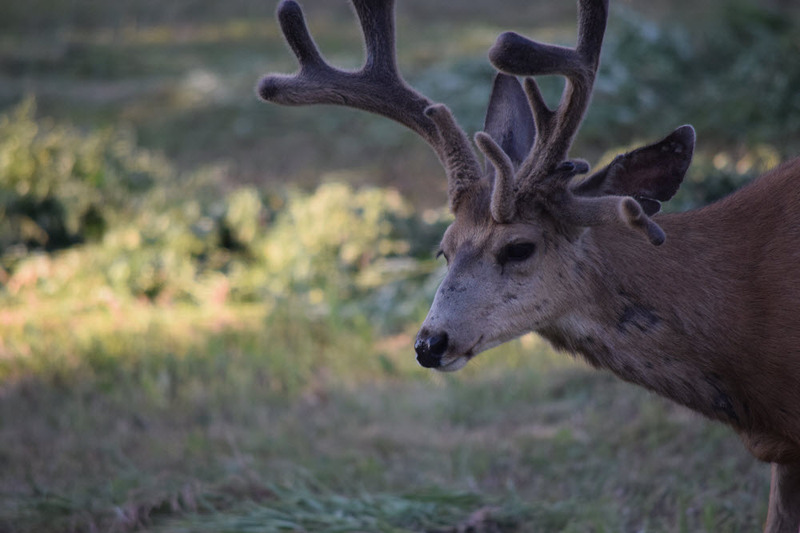 I sat in the reflection of the buck’s morning journey, and my own awareness magnified. The memories, the smells and the wonder of my inner soul of my childhood. “What am I to know today?” I pondered. How often do I miss these moments that unfold around me? That moment when the sun touches that perfect spot to shine bright reflections into the world. That moment when a buck stops to take notice. Peaceful moments that dot the day’s rhythm in grounding gifts of awareness… of freshness… and with a chance for connection to all that is around us. I find myself longing for the lazy days of summer of my childhood. Letting my spirit carry me wherever it wants to go. Carefree moments experiencing the very minute details that unfold around us. “Slow down,” says the voice to my tired busy self I’ve been this summer. Yes, I teach people to slow down and tune in. And yes, I sometimes forget to practice what I preach. This past month, I didn’t have a spare day on my calendar. While many of those days were filled with things that I love – what I didn’t have was space. A place for quiet. A place to just be. And in this morning’s peacefulness, I felt my body release a sigh of gratitude from its very depths. A reminder to slow down. A reminder to let the child in me play. So I played. I played in the early morning light with my newest toy – a Nikon SLR. I played in the messages with my oldest toy – a journal and pen. And I felt gratitude, peace and joy. The messages from the hay field are wise and knowing. Here’s what I remembered this morning, after this crazy busy month I’ve had. Maybe some of these will help you bring back the lazy dog days of summer in your life. I need space. Wide open space – that lets my body be free and light. Space that let’s my mind shut off. Space for me. Choose what’s important and say no to the things that aren’t. I’m happy for the choices I’ve made in family, for the clients I adore, for the work I love. There are things I could have set free. Next time I will. Play in the wonder of the small patterns that make up something larger. There are messages to hear. Whatever feeds your soul – do it. I love to write, and so I write. I love to play in my newfound love of capturing moments behind the lens. And so I play. What I remember this morning is to make time for feeding my soul every day. I know there’s more that feeds my soul. I will make space and time. Consider what the child in you wants you to know. Invite that child to come out and play. Make time for delightful, happy, light joy in your life. 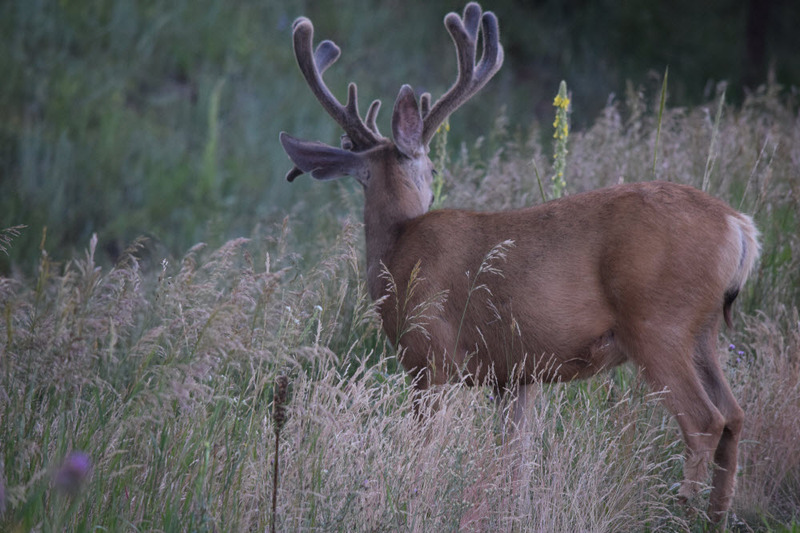 As that regal buck moved on from the hay field, I sat still in the moment. A female deer then graced the scene – staying amongst the taller grasses, eating her breakfast. I’m thankful for the beauty that showed up in my world today. I only needed to slow down and pay attention. May you find that moment today, wherever you are in the world. What a lovely blog today Kami! Summer is all about slowing down and just being, thank you. Thank you Laura! Funny how I have to remind myself this!